Dr. Beth Brown was a vigorous and engaged young astronomer who passed away in 2008 from a pulmonary embolism. She was 39 years old. 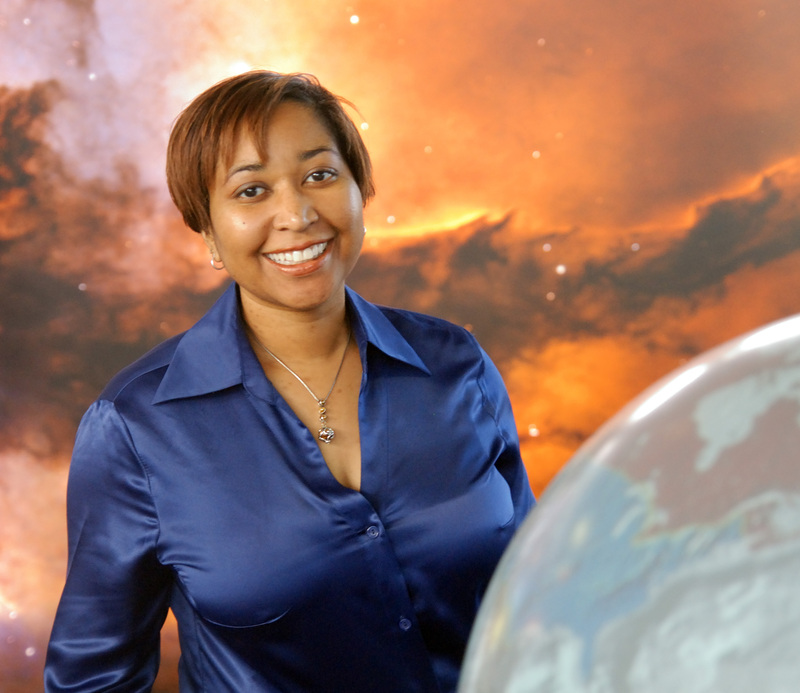 A native of Roanoke, Dr. Brown earned her bachelor's degree from Howard University and, in 1998, became the first African American woman to earn a PhD from the University of Michigan's astronomy department. She secured a position at the Goddard Space Flight Center and, at the time of her passing, was set to begin a new position as Assistant Director for Science Communication. Although her time working in the professional astronomical community was short, she had a significant impact on our discipline; not least by serving as a role model for many students from underrepresented groups. The AAS supports an award program in memory of Dr. Brown connected with the National Society of Black Physicists meeting. Representatives from our Committee on the Status of Minorities in Astronomy (CSMA) attend the conference regularly. The Astronomy and Astrophysics Section of the NSBP, which often has CSMA representatives, selects an undergraduate and a graduate student who present research results in the form of posters and one student, either graduate or undergraduate, for their oral presentation at the NSBP meeting as winners of the award (3 in total). The AAS provides them with complimentary registration at a future AAS meeting (next two meetings only) or an AAS Division meeting to present the same or additional research results AND free membership as a student member or affiliate for one year. The Board of Trustees recently approved some enhancements to this program; specifically to cover the cost of travel, lodging and food on a reimbursement basis up to $1000 maximum to an AAS or AAS Division meeting for each of the three winners in addition to giving them free registration. The AAS is proud to memorialize Dr. Brown’s contributions to the astronomical sciences and the achievements of these students every year. Best Undergraduate Poster Presentation: Marika Edwards (University of Wisconsin, Milwaukee), "Developing a Gravitational Microlensing Generator to Determine Efficiency in Detecting Gravitational Effects of Primordial Black Holes in the Milky Way Dark Matter Halo"
Best Graduate Poster Presentation: Romy Rodriguez-Martinez (Ohio State University), "Finding Flares on M Dwarfs with ASAS-SN"
Best Oral Presentation: Eileen Gonzales (City University of New York Graduate Center, American Museum of Natural History, Hunter College), "Is TRAPPIST-1 a Unique M-Dwarf Host Star?" Best Undergraduate Poster Presentation: Carl E. Fields (Arizona State University), "On the Origin of the Elements: The Spectacular Role of White Dwarfs"
Best Graduate Poster Presentation: Julie Dumas (Rensselaer Polytechnic Institute), "Testing the Caustic Ring Dark Matter Halo Model Against Observations in the Milky Way"
Best Oral Presentation: Christopher S. Moore (University of Colorado, Boulder), "The Effects of Magnetic Field Morphology on the Determination of Oxygen and Iron Abundances in the Solar Photosphere"